Review: Man-or-woman of mystery DJ Swagger has been making a lot of appearances on multi-artist EPs of late, often contributing fuzzy chunks of rave-influenced lo-fi house (very 2017). It's perhaps fitting, then, that the cheekily named artist's first solo EP for yonks is being released by E-Beamz, a label that specializes in both retro-futurist club tracks and dubious production aliases. A-side "Holly Tool" sees the swaggering one put ghetto-house through the intergalactic lo-fi house ringer, naturally beefing it up with some skittish breakbeats. On the flip you'll find the two-step garage revivalism of "After Action" and the scuttling techno madness of "Buck 'Em Down", which is propelled forwards by wobbly sub-bass and sweaty electronic motifs. 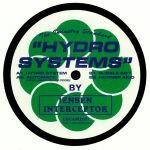 Review: Sydney's Jensen Interceptor comes through after a productive and successful 2017, that saw him follow up his material for Boysnoize Records with a killer 12" on the infamous Central Processing Unit. 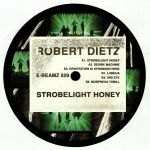 The electro newbie lands with yet more previous industrialism on the E-Beamz imprint, a truly hyping label that is on a non-stop roll at the moment. "Hydro Systems" is a gnarly, headstrong bombshell that's all hands on decks thanks to its wild and fiery percussion, and "Automate" follows up on that with a dark, bleeping wormhole of sonics. The B-side kicks off with "Bubble Boy", a bubbling whirlpool of FX-heavy bass tones, and "Horner Acid" breaks out the techno guns with its twisted, interlinked layers of low frequencies. 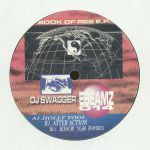 Review: Storage Media AKA Hugo Jay AKA DJ Kush Boogie next on UK lo-fi house merchants E-Beamz who served up that very talked about EP by DJ Boring recently. It is much more of the dusty and dreamy variety: meme house in the vein of Lobster Theremin and we are really digging it! 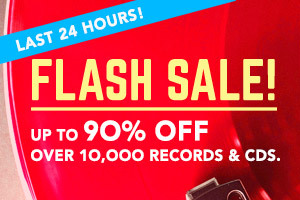 Particularly the crunchy retrovert jack of "002" or the new age groove of "004" with its soothing FM bell tones hypnotising you in style. Nice! Review: Following up a terrific 2018 that closed out with a killer output by Robert Dietz, Jensen Interceptor and Hugo Massien, U.K. label E-Beamz are back with more throwback sounds, this time courtesy of the enigmatic Vort who makes an impressive debut on the label here. From the brooding underwater electro-funk of killer opener "50 Yen", the rolling junglist stepper "Rainfall" to the depth charged yet emotive soul of "Tulip", Vort is keeping a low profile at present but we are pretty sure you'll be hearing more from this promising producer in this year.